The Web is awash with lists. Some might say saturated. Music websites, and blogs in particular, crave the condensing; the diluting and editing of anything and everything (and anybody) into a Top 10 - usually an artist or band's entire output boiled down to a rag tag bunch of songs that then has the word 'definitive' accredited to them. As if. And none more so than the Beatles. To be fair they had a couple of stabs at it themselves. Once (A Collection of Beatles Oldies) while they were still kicking a ball, and two more (the Red & Blue double albums) when Macca realised that the revenue from Wings was hardly likely to keep a roof (or roofs, to be more precise) over his head. 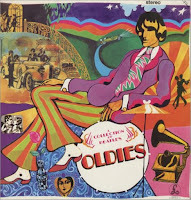 Then we had Anthology, of course, followed a number of years later by the unimaginative 1, before the joyous Love (take a bow Giles Martin) became, for many, the last word in Greatest Hits: the ultimate Beatles list, the Top 26, if you will. But what of the Beatles solo material? Sure, Lennon, McCartney, Harrison and Starr have all been victims of record company hastily prepared compilations - individually. But nobody has put out the combined Greatest Hit compilation with all four of them sharing centre stage. Is such an eight-legged monster even capable of walking, let alone running into a record store and jumping up onto the counter? And, to be fair, as big a Beatles fan as I am (have you seen just how many namechecks they get around here? ), even I would doubt the validity of such a piece of nonsense. Which is precisely why I am more than prepared to commit heresy and offer up before you not a Best Of album, but a Greatest Hits EP - four songs that capture the very being of the post-Beatles recorded output. And that was my only guiding principle - it had to have just four recordings on there; not even one of each. Any four. Any. It's at this point that it dawns on me, not for the first time, that John Lennon didn't care much for being an ex-Beatle (George even less so). But John really struggled to achieve anywhere near the PB he set himself while he was with the Fab 4. He peaked creatively in 1966 and, with the exception of a couple of White Album pearls (you know the ones I'm talking about), Lennon was pretty much a spent force. And no, Imagine is not the Holy Grail everyone thinks it is: it's crass and it's insensitive. If I ever hear it again it'll be too soon. Lennon, for me, very nearly missed the cut altogether - George was going to have two on there, but thoughts of the subsequent hate mail, and the fact that Working Class Hero probably defines Lennon, means it kicks off proceedings on Side 1, Track 1. Next up is the biggest slice of glam ever to come out of 1972. And it had some real competition too; Bowie, Sweet, Glitter. Not to mention Bolan whose fingerprints are all over Ringo's Back off Boogaloo. A great way to round Side 1 off with. Flip our little EP over and you'll be met by George's greatest ever song. Better than Something. Better than that one about his weeping guitar; better, even, than Taxman. 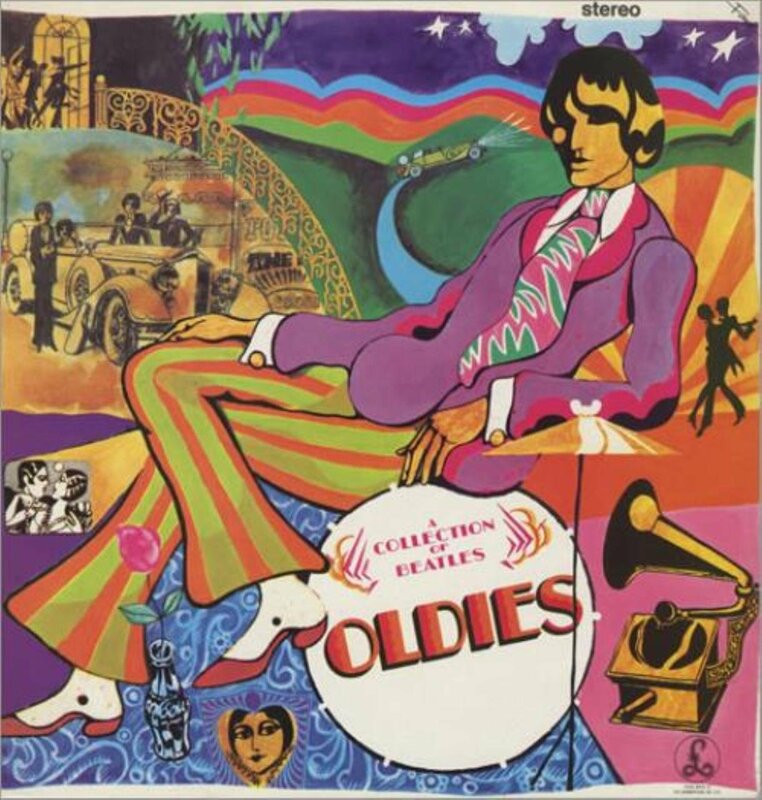 When George realised, quite early on, that the Beatles wouldn't even last until the seventies (let alone forever), he began stockpiling lyrics and melodies in his personal song bank. When he came to make a withdrawal in 1971 he had a perfectly formed triple album's worth. A real dark horse, wouldn't you agree? I so very nearly chose the title track, All Things Must Pass, but then came to my senses. I'd Have You Anytime is perfect. It knocks the other three songs on this fantasy project into an old brown shoe. Macca will be furious he's been left till last. Good. I'd love to tell him that he's not all that. I'd love to tell him that every time I hear him sing Hey Jude I want to stab myself in the eyes with knitting needles. I'd also like to tell him that how he talks about John Lennon is mean spirited and churlish. 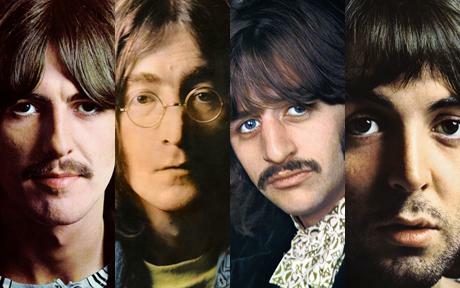 Someone once asked 'Is it me, or are the Beatles dying in the wrong order?' I knew what he meant. So, what's it to be then? What one song written and performed by James Paul McCartney will fade out into the run-off grooves? Damn you Macca. How the hell did you come to write something so bloody perfect as Maybe I'm Amazed? I've gotta give it to you, it's genius. Loathed though I am to vote against any track co-authored by His Bobness, I reckon your first instinct as regards George Harrison was bang on. In my humble opinion 'All Things Must Pass' is the best post-Fab song by any ex-Fab, bar none. Having said that, 'Wah Wah' is also pretty terrific. It's impossible to disagree with your Macca selection and my Ringo tune would be between 'BOB' and 'It Don't Come Easy'. John? I'd have to have a think, but it wouldn't be 'Working Class Hero', which grinds my gears in much the same way as 'Imagine' (and 'Hey Jude' incidentally) does for both of us. A thoroughly entertaining post John. I'll be mulling this one over for days. To be fair, nobody would expect Ringo to get on board at all - but Boogaloo made me smile then, and makes me smile now. Maybe I'm Amazed creeps up on me every time; say what you like about McCartney - and a lot of people do - but man, he could write songs. Actually Paul was my favourite Beatle (back in the day) but can understand why he now gets a bit of a bashing. A great idea for a post this - Like all four of your choices. A - It was his feather-cut in ‘72 wasn’ it? Am I right or am I right? No it was more Mop Top Paul I was thinking of but yes, I did like Wings. Harsh that about wanting to stab yourself in the eyes with knitting needles!